From the White House to Hollywood, Las Vegas to New York, Statue of Liberty to Graceland; the USA is arguably the most famous place on earth. Everything they do, they do bigger (it’s up to you if you think they do it better), and their university system is no exception. There’s a reason why around 30% of students studying abroad choose the States; as well as internationally renowned courses, there is an emphasis on extra-curricular activities and a diversity within degree programmes that is not offered for courses in many countries. Add to this the intrigue and excitement of getting to spend a few years as a student in the country that has the most influence over world politics (not to mention film and TV) and you can see why studying in the US is a very appealing option. Not so appealing are the costs that are involved. Taking a course at an American college is pricey; there’s a reason why parents create a college fund the day their child is born. 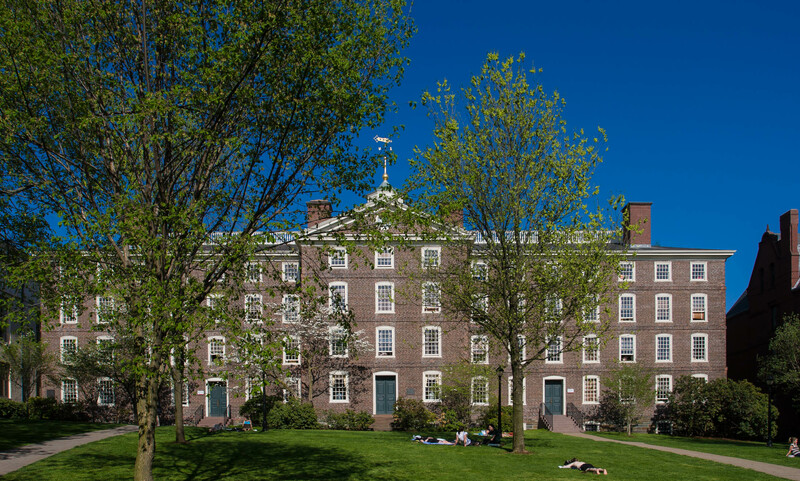 Tuition fees at the infamous Harvard University are over $38,000 a year – and that’s not including food, board, health insurance or personal expenses. The estimated overall figures are around $65,000, according to their website. Don’t worry, though! Most US students receive financial aid, and there are a wealth (pun intended) of scholarships that international students are eligible for, meaning that your dream of US study needn’t break the bank. Senator J. William Fulbright introduced a bill to Congress in 1945 calling for the use of surplus war property to fund "promotion of international good will through the exchange of students in the fields of education, culture and science." In 1946 the bill was passed and the Fulbright Foreign Student Program was born. If you’ve finished your undergraduate programme and are considering a Master’s or PhD course in the USA, the Fulbright Foreign Student Program could be for you. It enables graduate students and young professionals to research and study in the USA for a period of one year or longer, with around 4,000 students receiving the Fulbright scholarship each year. The scholarship provides funds for the duration of the period of study, funding tuition, airfare, textbooks, a living allowance, and health insurance. It’s not discipline specific, so everyone from arts majors to physicists are eligible. Programme requirements vary from country to country. The Fulbright Program is one of the most extensive scholarships available to international students, and is certainly worth considering if you have your heart set on a college that doesn’t provide financial support to international students. With around 20 different scholarship programmes available to international students, Columbia College is a great choice for overseas study. If you’ve had a relative attend Columbia, you are eligible for a percentage reduction in your fees. High achieving students are eligible for discounts too, and there are also cash awards of between $500 and $1,000 on offer. These are automatic scholarships, so you don’t even need to apply; if you meet the requirements, your fees will automatically be reduced. As an international student you are also able to apply for competitive scholarships, such as the Athletic Grant, Presidential Scholarship, and Talent Awards. The highest awarding of these is the Columbia College Scholarship, which gives you the full amount for tuition, room and board. Recipients of this award (among others, including the Presidential Scholarship) will be selected from Scholarship Days, which are competitive interview days held on the college campus. To be eligible you are required to maintain a GPA (Grade Point Average) of 3.5 cumulative and 26 ACT or SAT equivalent, and also demonstrate school or community leadership. Everyone likes to boast that they’re attending the same school as a celebrity. Former US Congresswoman Sandy Adams and Miss America 1966 Deborah Bryant are among Columbia College’s notable alumni. Columbia College was one of 250 colleges in the US recognised by Student Horizons, Inc as a “College of Distinction”. The selection process included staff to student ratios, exceptional elements in the curriculum, the student’s first year experience, as well as extra-curricular activities available. The college is in the NAIA (National Association of Intercollegiate Athletics) Division 1 for ten competitive sports: men and women's basketball, men and women's cross country, men and women's golf, women's volleyball, women's softball, and men and women's soccer. While Brown doesn’t offer specific awards to overseas students based on academic, athletic, or other merit, the funds available to international students are based on the financial needs of themselves and their families, just as they are for US students. International students are given a fair chance to receive the aid that they need and therefore the ability to pursue a course here. In the academic year of 2007/8, just 115 international students received needs-based scholarships from Brown. Since then the University Scholarship fund for international students has significantly increased; for the current academic year, 223 international undergraduate students will receive around $9.7 million in needs-based financial aids. The average international freshman received around $46,000 for the year as a scholarship – the average needs-based financial aid for all students at Brown is $43,110, so there is no preferential treatment when it comes to finances between domestic and international students. In 2012 Brown ranked 51st in the Times Higher Education World Rankings, 65th in the Academic Rankings of World Universities, and 42nd on the QS World University Rankings. A degree from here doesn’t just look good in the US – it’ll be respected worldwide. The Princeton Review in 2010 ranked students at Brown top of the table for happiness. Perhaps that has something to do with the 300+ student organisations on campus, catering for a diverse range of interests, from publications likeThe Brown Daily Herald to the all male a cappella group The Jabberwocks. Emma Watson, star of the Harry Potter franchise, is a famous international student to have attended Brown; she graduated in 2014. Formerly known as Hsi Lai University, UWest was relatively recently founded, in 1991 by Grand Master Hsing Yun, a widely respected exponent of Humanistic Buddhism. Although UWest is a non-sectarian, its mission is to provide a ‘whole person’ education informed by Buddhist wisdom, focusing on cultural, moral, and social responsibility. There is an emphasis on preparing students to meet a globally interdependent world, and facilitating an understanding between the East and the West. As an international student here, you’ll be part of a diversely cultured student body and faculty – 60% of the student population comes from outside of the US. Started in 2012, the Lotus Scholarship is a relatively new award offered to both international and domestic students. It offers awards of up to $5,000, or up to $10,000, dependant on GPA, to both domestic and international students. These awards are initially awarded for one academic year, with the potential to be renewed if grades are kept up. International students must submit an UWest International Student Supplemental Application for Financial Aid form, and must meet minimum English language requirements. So far, the Lotus Scholarship has been awarded to nearly 100 students. Altogether there are nine scholarships and fellowships available for international students to apple for, including the President’s Institutional Fellowship, the Golden Benefactor Awards, and UWest Scholarships. International students wishing to apply for either federal or institutional financial aid should apply at the same time as they submit their application for admission. Started in a small classroom in Hsi Lai Temple, in its first term in 1991 the school had just four professors and around 30 students! UWest is not a Buddhist college (although you can learn to be a Buddhist chaplain here); students are not required to follow any religious faith and courses range from business administration to psychology, as well as religious studies. At just $8,900 for tuition and fees, UWest is one of the most reasonable options for a course in the US. Remember this is a very small establishment. You can expect to know everybody in your year – it’s up to you if this is a positive or negative! International students are eligible to apply for several scholarship awards at ETSU, including Graduate Assistantship and Tuition Scholarships, the Honours Programme and Public Performance Scholarships, as well as some ETSU General Scholarships. Female international students could receive up to $10,000 a year from the P.E.O International Peace Scholarship, funded by a philanthropic association seeking to educate and motivate women through grants and scholarships. The only scholarship programme offered by ETSU that is solely available to overseas students is the International Students Academic Merit Scholarship. You’re required to submit a reference and to demonstrate excellent academic achievement, and if successful, the grant covers half of all in and out-of-state tuition and maintenance fees. To continue receiving the scholarship you must maintain a GPA of 2.75 or above. With this award you are not eligible to apply for any other ETSU scholarships. If orating is your calling, ETSU is for you. It’s the only university in the USA that you can take a Master’s degree in Storytelling. Fancy living up to the college stereotype and joining a sorority or a fraternity? ETSU has seven frats and four sororities – although only 5% of students on campus are actually members. The ETSU sports teams are collectively known as the Buccaneers, and they have won conference titles in 14 out of 17 of their sports in the last six seasons. We all know it’s the taking part that counts – but winning is much more satisfying.